Cornell University uses an external service to provide a simple, anonymous way to confidentially report activities that may involve certain improper conduct or violations of Cornell University’s Policies. You may file a report to Cornell University using the link below, or by contacting EthicsPoint directly by dialing toll-free 1-866-293-3077. 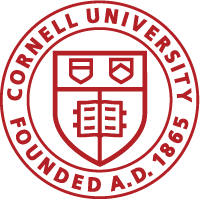 Members of the Cornell community as well as those outside it can use this confidential hotline system to report concerns involving the Ithaca campus, the Weill Cornell Medicine campuses in New York City and Qatar, the New York State Agricultural Experiment Station in Geneva, Cornell Tech in New York City, and other Cornell offices and programs in any location. For reporting nonemergency criminal activity on or near the Ithaca campus, the site includes a direct link to the Cornell University Police Silent Witness Program.